Rockstar Games and its parent company, Take-Two Interactive, on Tuesday finally dropped the news that everyone has been waiting for: Grand Theft Auto V is coming in the spring of 2013 for Xbox 360 and PlayStation 3. The game will be available for pre-order starting Nov. 5. Developed by Rockstar North, GTA V is guaranteed to be one of the biggest games of 2013, which may explain why Rockstar doesn't need to worry about releasing it during the fall, when most blockbusters hit game store shelves. Grand Theft Auto V was announced over a year ago, and it was revealed in the interim that, like 2004's Grand Theft Auto: San Andreas, GTA V would be set in the game's fictional version of Los Angeles, dubbed "Los Santos." But there's been little concrete news about the game since then, leaving the gaming world free to speculate about its story, setting and characters. Grand Theft Auto IV sold six million copies in its first week in 2008, totaling $500 million (UK£255, AU$482). By September 2011, the game had sold 22 million copies worldwide. It was, at the time, the biggest media launch ever. Naturally, there's a bit of excitement over the sequel. Rockstar's own press release called it "the largest and most ambitious" GTA game yet. 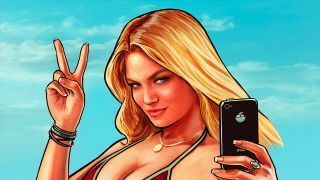 "Grand Theft Auto V builds on everything we've learned about open world game design," Rockstar Games Founder Sam Houser said in the announcement. "We can't wait to share it with fans." Not much is known about the actual content of Grand Theft Auto V besides the setting of Los Santos. The game could be positively enormous, though - looking at past generations of GTA games, it seems that could be the trend. San Andreas, for example, is still the largest game in the series - going by simple in-game geography - trumping even GTA IV's Liberty City environment. But San Andreas had two previous game to build on, just as GTA V will build on GTA IV, so Rockstar's promise of the biggest game yet could prove accurate. One thing's for sure: it had better include jets and tanks from the get-go. In the meantime, if you're dying for more open world delinquency, look no further than TechRadar's list of GTA clones you might actually want to check out.